HMD Global has rolled out a new update for the Nokia 7 Plus, the mid-range device from the company which contains a new build of the Android 9.0 Pie and the November Security Patch. 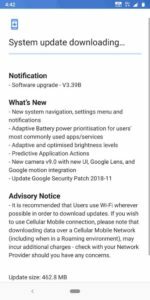 The update carries a build number of V3.39B, and seems like the much- needed post-launch optimization for Android, in this case, the much-needed optimization of Android 9.0 Pie. The update is 462.8MB in size and is downloadable over a stable WiFi connection only. The update is currently rolling out in some markets only and the availability may vary in different markets. To manually check whether the update is available in your market to go to Settings→ System→ Advanced→ System Update→ Check for Updates. The official changelog for the same mentions new features based on Android Pie, new Camera app, November Security Patch, predictive application actions, adaptive and optimized brightness levels, new system navigation and settings menu among others. The Nokia 7 Plus is already running a stable build of Android 9.0 Pie after the device got the taste of the latest and greatest OS from Google back in September when it also became the first Nokia branded smartphone to get the taste of Android Pie. 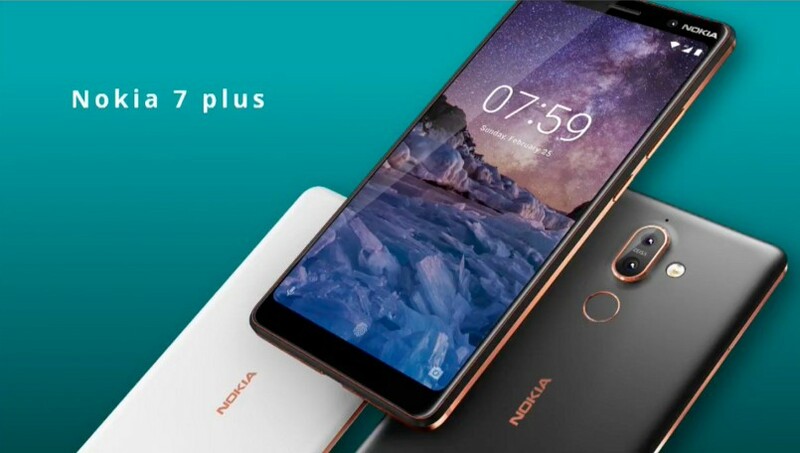 The Nokia 7 Plus was launched by HMD Global at the MWC’ 2018 and was the first 18:9 aspect ratio sporting device form the company. It featured an octa-core Qualcomm Snapdragon 660 SoC, 4GB of internal memory and 64GB of storage. The device features Carl Zeiss powered dual camera set up at the back, a 6- inch FullHD+ display with support for Widevine L1 also. The device shipped with Android 8.1 Oreo out of the box, before getting updates to Pie a few months back. For the software side, the Nokia 7 Plus came under the Android One moniker, meaning support for OS updates for two years and security updates for 3 years.